This is my card. It’s not a combination of colors that I use a lot, but I think it’s a nice, cheery card that would go well with a thank-you gift. 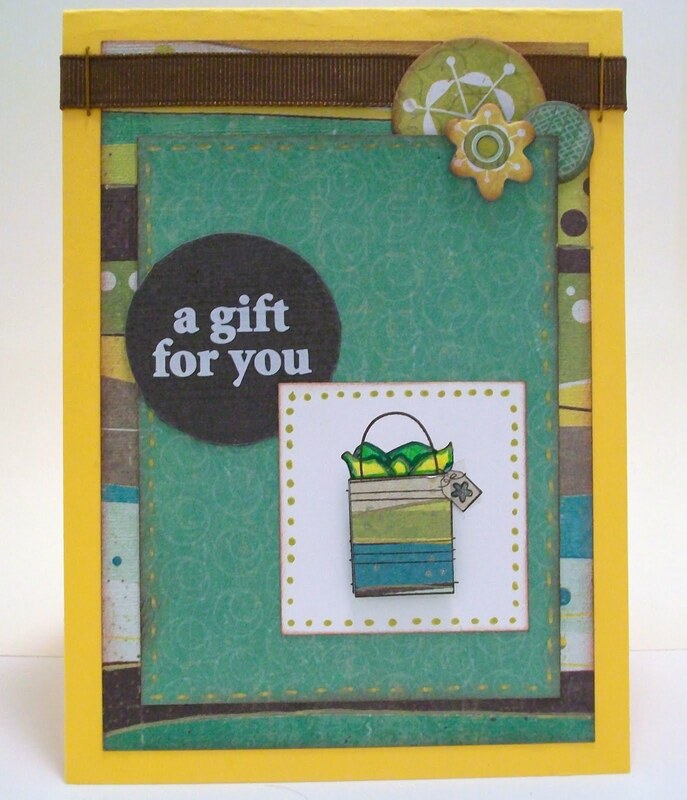 The gift bag stamp is from Stampin’ Up’s Bitty Birthday collection. Other supplies that I used: gold American Crafts gel pen, sticker sentiment, Chocolate Chip ink and cardstock from Stampin’ Up!, ribbon, staples. Great card, Suzanne. I love the bag stamp and your colors are lovely. Thanks for playing along with US this week. Hey Suzanne – LOVE your card! But you always make the greatest cards!!! 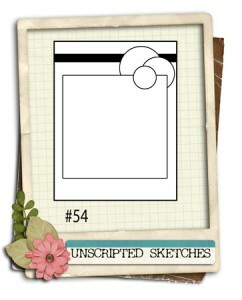 Thanks so much for playing along with Unscripted this week!